After leaving their camp on the Blackwater River, the guerrilla band stopped at the farm of Benjamin Potter for rest and light refreshments. Looking west toward the Potter Farm. Present-day entrance to property that was formerly the Potter Farm. 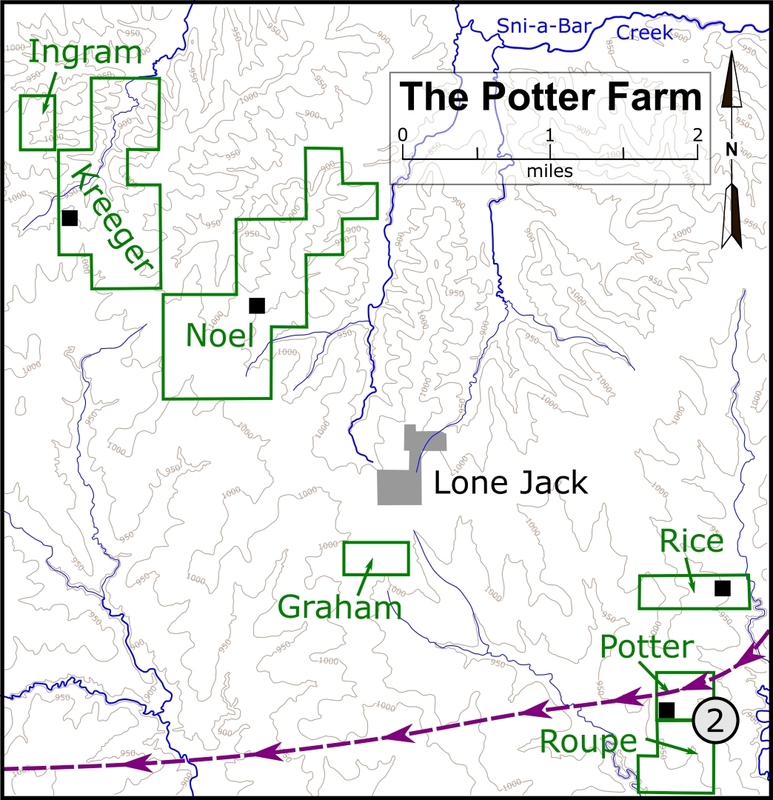 Map showing location of the Potter Farm. Click on thumbnail to load high resolution version of the map.